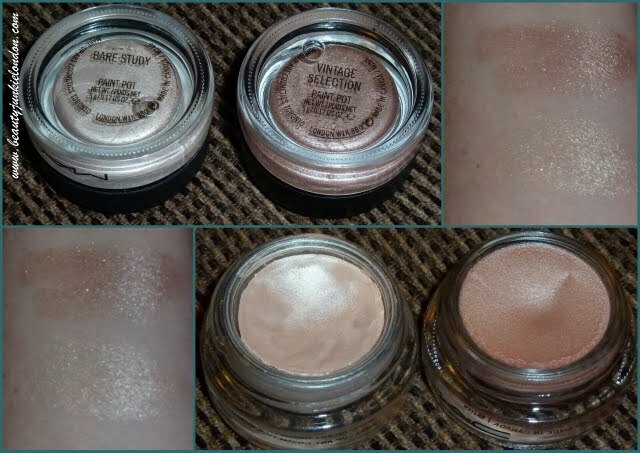 I do really like the latest ‘Champale’ collection from MAC but I was very restrained and only picked up one of the paint pots, as I’m trying to be a bit more realistic rather than excessive for 2011. It was a tough call to narrow it down as all four from the range are really pretty and to be honest, I probably didn’t make the right choice – as when I got home and compared it to the paint pot I already have (Bare Study). 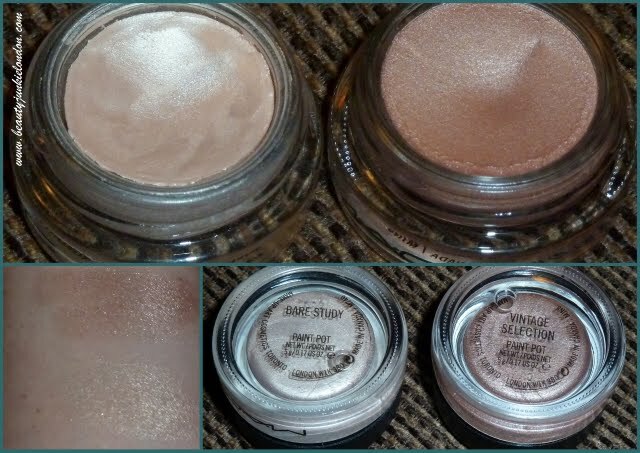 I kinda wish I had chosen something that was a bit more contrasting (Dangerous Cuvee – the shimmering grey, would have been a better choice) but I went for Vintage Selection, described as a ‘frosted dirty peach’. I think it looks gorgeous, I love my Bare Study but would not mind this one even though they are lookalikes. Very useful.